Low Maintenance Pools |Time-Saving Features | Paramount Products | The Pool Man Inc. The main reason to own a pool is to enjoy the refreshing, clean water. Thanks to the experts at The Pool Man and the world-class Paramount products. We build the lowest maintenance pools in the greater Houston area, and have been doing so for more than 40 years. All our pools come with a 99% cleanliness guarantee. In building the lowest maintenance pools, we use Paramount’s automatic in-floor cleaning system with UltraClear and Debris Canisters. These will help keep your pool always swim-ready. Paramount’s automatic in-floor pool cleaning system works automatically to minimize maintenance time and maximize your enjoyment! With a Paramount In-floor cleaning and circulation system your pool will always be “swim-ready”. 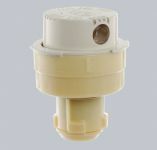 Since their patented pop-up cleaning nozzles are nearly invisible, you’ll avoid unsightly robotic cleaning devices and hoses in the pool as well as avoiding the hassle of moving these bulky devices in and out of the water every time you want to swim. Enjoy the clean, beautiful look of your pool and put your precious free time to better use – like family fun! 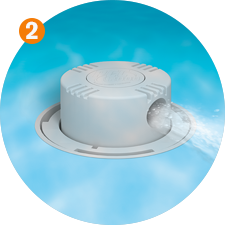 PCC2000 keeps your pool healthy and clean with a patented virtually invisible automatic dirt and debris removal system designed specifically for each unique setting. PCC2000 is custom-designed for your unique pool shape. 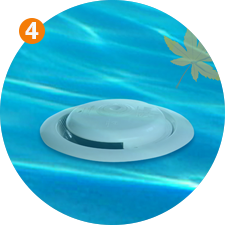 It is so effective that it will clean 99% of your entire pool, guaranteed. 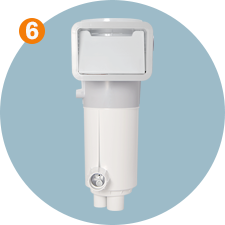 Enjoy carefree pool ownership, PCC2000 nozzles have larger nozzle design and come with a Limited Lifetime Warranty. 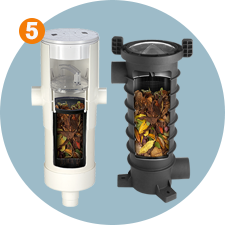 It requires fewer nozzles to move debris in one direction towards the patented debris collection zone. 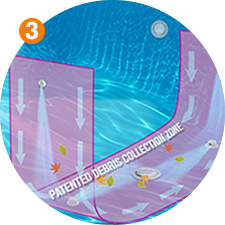 UltraClear is Paramount’s powerful combination of ClearO3 Ozone Oxidizer and ULTRA UV2 Ultraviolet Water Sanitizer makes your pool cleaner, healthier and sparkling clear – while dramatically reducing the amount of chlorine needed, saving you time and money year after year. 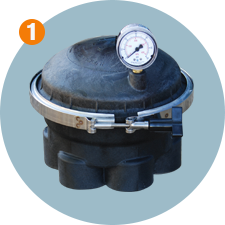 Installing the ULTRA UV2 “downstream” from the ClearO3, increases the formation of a powerful oxidizer to keep your pool clean, clear and healthy.